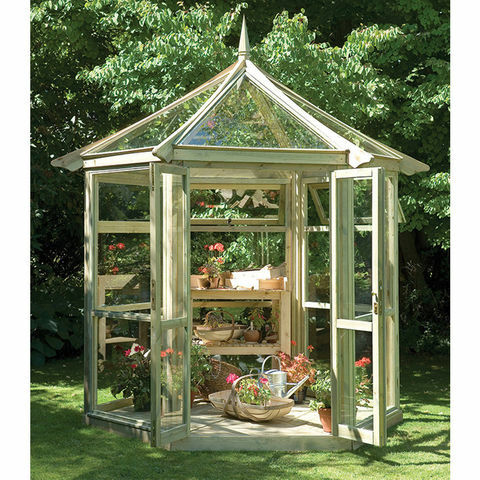 Combining classic glasshouse design with high-quality planed timber, the Forest Glass House offers exceptional build quality and durability. 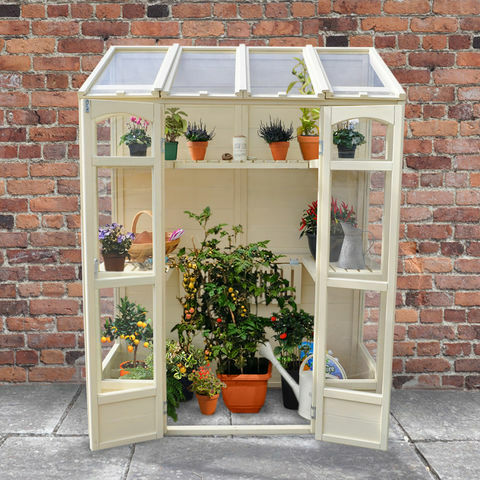 Featuring fully glazed glass panels, large double doors and three top opening windows, the Forest Glass House is suited to any garden. This product also comes supplied with five sets of timber staging. PLEASE NOTE – This product does not come assembled.